There are so many natural ways to make sounds and learn about the vibrations that bring music to our ears. With these 3 simple projects, your kids can make their own musical instruments using items found in your own kitchen! This game is great to do on a playdate or family day. Kids will learn about what makes things float and sink, practice counting, and use creativity and fine motor skills. Younger preschoolers may need assistance with the initial construction piece, but all ages (moms and dads too!) will have fun building and sinking their boats! This activity takes just a few minutes, but can be enjoyed by kids of all ages. Older kids can take this party trick on the road to their next sleepover! Making a hypothesis and recording data are steps in the Scientific Method (I know at least half of my readers are probably groaning or cringing when they read this phrase!). But listen, the Scientific Method is what most standardized testing for our students is based around to get them ready for the Science portion of the ACT. 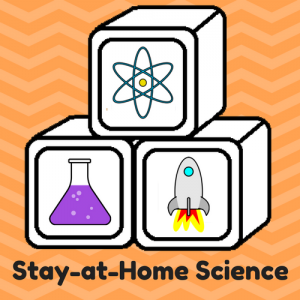 The ACT/SAT may seem far off for your 5-yr-old… but imagine how great it would be if your kid starts school already feeling comfortable with science terms and using a scientific approach to problem solving! Yes, parents, I know all too well the anxiety of looking in the rearview mirror while careening down the highway only to see your smiling child has undone their seatbelt yet again. And you wish you could send your Go-Go-Gadget retractable arm back there to secure them, but you can’t… because 1) that sadly doesn’t exist, and 2) you are in charge of making sure your high speed vehicle doesn’t crash into that truck in front of you. ARGH! If only your small child could understand the DANGERS of unbuckling their seatbelt! So let’s put that bin of Hot Wheels cars to some good use and experiment with INERTIA!